We were almost all back this afternoon, although we missed Julie, as we dealt first with Chris’s monumental compilation of all the blogs complete with rolling Index. Having offered some feedback, we then moved on to pick up our discussion left over from the end of February on matters such as the character of Otter, the treatment of horses, and the matter of weapons. Carol had sent comments which are added mainly after the main blog. Laura began our discussions of appointed topics by outlining the resonance of Morris’s the use of the name ‘Otter’. Laura reminded us that a character named Otter appears in the Nieblungenlied. He is killed by Loki who takes the Otter skin for nefarious purposes. C.S. Lewis also makes use of the form in his space fiction story Out of the Silent Planet where the ‘hrossa’ are Martians with Otter-like characteristics. Laura also pointed out that Otter belongs to the House of the Laxings and lax is the Old English for salmon, and otters eat salmon. On a different topic, Laura observed that the Wolfings’ battles are not always described through direct narration but are often reported by characters. Chris and Angela remarked that this also happens at times in The Lord of the Rings. Tim noted that in Wolfings the reader is given the view of the ‘stay-at-homes’: those left behind. Eileen remarked on the importance of the messengers who bring news to them. Laura likened this to the arrival of chaps from the front. Time observed the thirst of the mead-drinker messenger, and saw the indirect narration as reminiscent of The Lord of the Rings, e.g. in the Council of Elrond. Various reports by one character to others means that the reader is not omniscient because we get secondhand reports. Chris commented that in our readings of The Lord of the Rings, in spite of Sam’s importance, very few mentions of him show up in the blog Index. Chris also noted that in Wolfings scenes swap around and back much faster than in The Lord of the Rings. I drew attention to the significance of the hill where the Thing is held. It is a special place which by the common consent within Goth society gives power and legitimacy to the speech which takes place there, and to the decisions arrived at through that speech. This reminded me of J.L. Austen’s ‘speech act theory’ which described the way societies accord legitimacy, power and authority to the speech of certain people in specific situations, as well as speech that takes specific or ritualized forms. Laura noted the importance of the Iceladic Althing as the location for resolving disputes. Tim remarked that Goths have to climb the hill of the Thing in order to make their speech count. Tim and I then went on to express some dissatisfaction with the unvaried poetry Morris includes in the story, because there is no sense of its stylistic contribution to characterization. Carol commented on this: “Tolkien said he wanted to write a story like Morris, with prose and verse. Tolkien’s verse isn’t used instead of ordinary speech but is situational or tells a back story, sometimes both like ‘Earendil was a mariner’. So Morris’s verse I find not so subtle as Tolkien’s and somewhat like a song in a musical. The message of war is urgent so why take so long to deliver it, but the poetry’s ok”. Eileen, however, remarked that the Hall Sun gives a précis of the battle in poetry and this is a gentler way to get the point across. She is condensing the story, while the rhythm makes it flow. Laura remarked that it makes sense to the Hall Sun and the Wood Sun to speak in verse. Tim thought the story is more akin to Beowulf, while Laura compared it to the real Roman defeat in the Teutoburg Forest. We moved on to the topic of Horses. Chris observed that in The Lord of the Rings the question is raised about disinformation concerning Sauron stealing the horses of Rohan. Eileen noted the way they were depicted as being loved in Tolkien’s work. Laura remarked that the white horses that really were sacrificed, like the Goths’ horses, were well-tended. Chris observed that this made them very valuable, and Laura commented that this registered the scale of devotion. Angela reminded us of the human sacrifice to which blood sacrifice led in Numenor, and that Aragorn declared in Rohan that he intended no harm to man or horse. Eileen questioned the provision of mounts for the Black Riders, and the sad state of Bill Ferny’s pony. Laura noted that the references to Roman archers and slingers was straight out of Caesar’s Commentaries. Angela approved of the tri-bill of the Goths, and Tim remarked on the resonant name of Thiodolf’s Throng-Plough. Laura commented, however, that most weapons have very ordinary names. Tim observed the presence of women riders among the Goths, comparing them to shield maidens, and noted the instruction they were given to each take a small knife on their journeys as a suicide device. Laura and Angela both contrasted these women to Eowyn who was bound on self-destruction anyway. Chris noted that in The Lord of the Rings opponents are not ordinary people, but they are in Wolfings. Tim and Laura remarked that both Goths and Romans use some form of the shield wall or testudo. Laura noted that the Goths use war horns and Tim observed that the Romans also used horns. Ian discovered that the Romans used 2 kinds – the Carnix and the Cornu. Eileen noted the reiterated motif of the dwarf shirt in The Lord of the Rings. Laura added that the dwarf shirt in Wolfings is dark. Ian suggested that this was because it was made of iron so it was very heavy, hence his fainting in battle, but it was very protective. Eileen wondered if we were more involved in the battles in Wolfings or in The Lord of the Rings? Chris thought we were more involved in Tolkien because the characters are better known. Eileen proposed that the Wolfings battle strategy is spelt out clearly and the stay-at-homes are kept well informed. The women are included but there is too much emphasis on battle and not enough narrative. Laura responded that this was because the Goths were fighting for their lives in a short space. In The Lord of the Rings, however, there is great background, but in Wolfings it is 2 lots of humans fighting. Tim noted that Tolkien was writing about an entire war, made up of a series of battles, while Morris was writing about a smaller campaign. Eileen qualified this by describing Tolkien’s work as being more panoramic, and Chris observed that in Wolfings there was not much focus on the Romans. As we ran out of time we agreed to go on with our discussion of The House of the Wolfings next time. The opening poem reminds me of Bilbo’s ‘I sit beside the fire…’ nostalgia for things gone by. I liked the historical bit about Varus and Marminius as I know very little of Goths and Romans and glad the Goths won. I liked that description of the main hall, reminds me of Edoras, and I always think that fires in the middle of a room are more egalitarian than a fire set in a chimney wall. Fires in the middle are accessible to more people than modern fireplaces where a man might warm his back to the exclusion of everyone else. ‘The Flitting of the War Arrow’ paints a picture very idyllic to begin with, rather like the Shire, but I’m sure that will soon be shattered. ‘Thiodolf talketh with the Wood-Sun’: It’s getting to be like an opera, though the content is interesting, if slower to read. Sadly, we were without Tim, Chris and Angela, as well as Julie at this meeting, so only 4 of us gathered on the Saturday closest to Tolkien Reading Day. It was for this reason that we decided to leave our discussion of The House of the Wolfing until our next meeting in April and take the Reading Day topic of ‘the mysterious in Tolkien’ instead. In the event we spread our net more widely than Tolkien. We began by pondering the attractions of numerous instances of backstories as Laura questioned the validity of J.K. Rowling’s extensions to the original Harry Potter series, and whether these had been part of the project all along. The unofficial extension of Tolkien’s work into ‘slash fan-fiction’ was considered. I suggested that the development of existing stories satisfied a desire to demystify books and films. Ian remarked that it relates to the universal belief in something more. Laura observed that the impulse to open up stories to develop backstories echoes Gandalf’s challenge to Saruman concerning the folly of breaking things to find out how they work. Eileen likened the impulse to small boys taking things apart. Laura drew a parallel with Richard Dawkins’ trying to remove the mystique from human life. Ian remarked that the appliance of science was used in Lower Egypt to move massive building blocks which in turn signified the status of Pharoah as god. I brought the topic back to Tolkien when I asked if his appeal lay in his creation of mystery in a demystifying age? Eileen thought he focused on the strange relationship between Sam, Frodo and Gandalf, and the mysterious Ring. Laura remarked that Tolkien creates mysteries like those in our own world. Eileen observed that in the case of Elf ladies, real love triumphs over their mysterious immortality. Laura noted that Tolkien is referenced everywhere now. Ian commented that there are orcs in the Warcraft computer game. Laura commented that the concept of ‘orcneas’, naming an enemy of mortals, is found in Beowulf. Ian proposed that the word is used to describe the mystery of the Other. He went on to argue that in Tolkien’s work, the mystery of alien technology is summed up in the way the Ring is responsible for Gollum’s long life. In The House of the Wolfings the protective hauberk is not a mystery but another example of the use of scienc, although it is a mystery if you don’t understand the technology. Laura remarked that in Beowulf, the mysterious child Scyld Scefing becomes leader, and she compared this to the Norwegian leader of the Danish Vikings at the Battle of Maldon: the different world view provides the ‘edge’ that makes them special. Ian commented that in Wolfings the Hall Sun, and the Wood Sun her Mother are mystical in their culture, as opposed to the more technological Roman society. Eileen noted the inclusion in this work of stories from earlier events, and Laura noted the emphasis on building technology. Ian observed the presence of Morris’s interest in higher belief and higher truth. Eileen responded that the dissemination of information via stories also demystifies. Ian considered that Morris’s presentation is theatrical, i.e. sequential, and that in the case of visualization of events from the past, writing them down means they can be retained, as opposed to oral tradition. I questioned the stages of demystifying that may take place via story and film. Ian replied that Tolkien was writing in an age of human endeavour but now the current value system values investigation, but some present values don’t match earlier ones. Eileen added that art and artefacts are inevitably of their time. I questioned the apparent need for mystery in literature and other media. Laura responded that it satisfies the need for hope and for good to triumph. Ian proposed that where people and society exist in a closed state there is no need to move on, it is not adaptive but in arrested development. Where society is hesitant about moving on there is perhaps the need for a god or for enforced movement, but in and open society, change is natural. March already! It will soon be Reading Day, but we didn’t have time to consider that. We did consider a group visit to see the forthcoming film about Tolkien, and we all expressed astonishment that Chris has just picked up the work previously done some years ago by Mike, and created a complete collation of all the existing blog reports ‘from the beginning even to this present’. Its purpose is to ensure that we all have a record of our discussions in case the online platform ceases, disappears or is corrupted. We did touch on the possibility of something more formal, but agreed that it would be a huge editorial task. The discussion phase of our meeting then got underway with Laura’s observations that the Goths are not just a single tribe but are differentiated into clans whose names are based in nature, and that some of these are in the ascendant – like the Wolfings – while some are in less prominent circumstances and we learn this from their backstories. 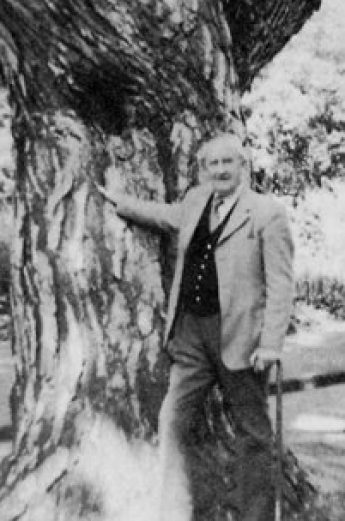 Laura compared this use of internal history to Tolkien’s use of backstories, and she noted that the Goths are depicted as assuming a right to control nature, which reminded her of Aule’s statement to Yavanna that trees would be needed. Finally, Laura remarked that when reading ‘Mirkwood’ we need to remember that Morris was writing before Tolkien. Tim then joined Laura in considering Morris’s use of archaic terms and thought this was not really convincing and the archaisms seemed to be ‘shoe-horned’ into the text. The use of ‘Roof’ to name the major dwelling place of each clan was questioned, and I suggested that it was used metonymically – one attribute or aspect of the dwelling standing for the whole. It might also be used symbolically. Laura then remarked that the Wood-Sun reminded her of Melian, and that the Hall-Sun’s prediction of fire reminded her of Tolkien’s Finn and Hengist fragment where the glow is men coming with torches. Tim considered some of the poetry in the text ‘quite clunky’, but some of it was ‘quite good’, although it was hard going in the early stages of reading and not like Tolkien’s poetry. Angela agreed that some of it works. Tim commented that some of the descriptions in rhyme are very evocative, but some of the prose descriptions of the Goths’ journey to the Things left him feeling the need of maps (! ), especially when the different tribes were travelling on both sides of the River. Laura approved of the banner wains being pulled by various fine animals, and especially liked the war-elks of the Elking clan. We wryly recalled Thranduil’s ‘war-elk’ in The Battle of Five Armies. Chris thought Morris created political references in the context of the Roman society and that what is described is clearly a capitalist society with masters, who do very little, and workers. I thought it attempted a contrast with a more idealized community among the Goths (could I say and anarcho-syndicalist commune?) although they have thralls. Chris noted that even the thralls have a vote for the dux bellorum of the tribes. I objected to Morris’s imposition of this untranslated Latin term and wondered why he hadn’t looked for a term in Norse, Icelandic or OE. Tim observed that the Thing acts like the Council of Elrond as a forum for sharing the speakers’ experiences of the Romans. Laura saw the Thing as an intelligence-gathering event, and cited Fox’s infiltration in disguise. I remarked that the description of the speakers going up and down the hill in their armour and clinking because this is the first time I can remember reading of this realistic touch. Laura commented that the event is very formal and recalled the use of rhyme in Egil’s Saga when Egil has to make a rhyme to placate Erik Bloodaxe. Laura went on to comment on the sacrifice of horses. Angela added that one of the girls also goes willingly to be sacrificed and Ian proposed that what we see is the different theological environment of the Goths compared to the Romans. Angela noted the difference between Morris and Tolkien in their treatment of horses. I remarked that most of the sacrificed animals were distributed to the people, and Eileen commented that this story includes more recognizable food that Tolkien’s lembas. Eileen also noted that Wood Sun is far more affectionate, demonstrative and ‘normal’ than any female depicted by Tolkien; and that her passion is an expression of love but also pathos in fear for the future, and she compared Eowyn and Faramir as lovers make the most of their time together. Chris remarked that he thought Wood Sun’s fear is closer to Eowyn seeing Aragorn going into the Paths of the Dead. Angela remarked that of all the Rohirrim only Eowyn has the courage to see him off, when the Rohirrim fear the ghosts in the dale. Laura commented that Eowyn is a shield maiden, and Angela noted that she’s brought up by men. Chris observed that orphaned and fostered children are thematic in Tolkien’s work. Angela noted that a number of Wolfing women are able to wield weapons and ride out when the men are away. Laura remarked that there are lots of instances of prophesy and this creates a sense of shadow over the men and that this adds tension to the story. She also commented on the difference between the war formations of the Goths and the Romans, and noted that the structure and discipline of the Romans didn’t always work, and that Quintus Varrus last his Imperial eagles in Germany. Chris observed that the Tuteburg disaster happened in A.D. 9, and he went on to question the effect of the use of mercenaries by the Roman legions. Laura then compared Morris’s references to the ‘stay-at-homes’ to the ‘coal-biters’ of the Icelandic sagas. Having overrun our time we agreed to read on to chapter 15 and that next time we would pick up the subjects of Otter, weapons and the treatment of horses. Chris has alerted me to the fact that the link I posted for Laura’s comments doesn’t go in the direction I had expected, so I am posting the whole document as she sent it to me. This means that some things in the blog report will be repeated, but at least the full text will be acessible, even though the pictures still don’t transfer. There doesn’t seem to be anything that bleak in the early chapters of the Wolfings – rather more idyllic in an idealised pastoral scene protected by warriors – although it does come out they have fought previous battles of course. Although the various tribes in the Marks are Goths, they could be idealised Victorian Anglo-Saxons or Teutons. Think Alfred’s statues or the enormous statue of Herman the German celebrating the victory of the Teutoburg forest (9AD)! There is a lot in the THOTW that also appears in Tolkien’s work. The war arrow; a love affair between a non-human and a human; a sinister enemy; the horse culture of the Goths and Rohan; the dwarf hauberk; a war horn; Mirkwood; an emerald artefact; the mysterious origins of the Goths/men; dark haired grey eyed people. They of course both share knowledge about the sagas etc – the thing stead for example. Also in the chapter with the Wood Sun she foresees the mead hall on fire and there is a hint of the Finn and Hengest fragment when a red light is seen through the windows of the hall (not dragons, not gables on fire but armed men coming). At the beginning of the book, Morris starts with “The tale tells that in times long past…………”, a phrase which crops up several times. This is a scene setting which Tolkien uses as well to give the sense of history becoming myth becoming legend etc… Is it true anyway? Also that this could be a story being told in a mead hall especially with the poetry. Like Tolkien, Morris uses older forms of words or possibly dialect words eg “drave” in the first chapter presumably to give a sense of a mediaeval romance – thinking Gawain here. Neb – I thought this was a Liverpool word. Also stithies – not a misprint for smithies but a Norse word for anvil and where an anvil if housed! The Man’s Door and The Woman’s Door concepts are intriguing. I like the idea that men have obviously go to lower their heads, implicitly bowing to the lord! No door warden? I couldn’t work out if the Woman’s Door leads to the women’s quarters rather than straight into the hall – more weaving and sewing! All buildings need a second means of escape – perhaps there were fire exit signs – always important for a mead hall! The description of the hall is very reminiscent of Tolkien’s drawing of Beorn’s house although I don’t think there are the windows. The description of the Thing-stead is highly similar to the sagas we read. Morris does use the word “mote” but has obviously chosen to go Norse rather than AS. Morris has also given a sense of history to the doom giving by saying it was an historic event from before settlements and that it is still honoured. The girl Hall Sun reminds me of the maia who looks after the sun, travelling across the sky, in the Silmarillion – although she volunteered. It might not have been the Hall Sun’s choice so she might be like Eowyn – trapped in her role. On this reading I didn’t find the poetry quite so intrusive or artificial – particularly as a welcome to the person bringing the war arrow – although if he could barely catch his breath (..gotten his breath again….! Is this an example of English crossing the pond and coming back as an Americanism??) would he be speaking in rhyming couplets?. In the second poem by Thiodolf said to the messenger, there is a description of the work that women will have to take up – a definite pre-echo of the world wars. I liked the reference to the Huns biting their shields which is a berserker action, recorded on some of the figures of the Lewis chess set. On a fine warm sunny day, lovely for February! 5 of us met to begin considering William Morris’s The House of the Wolfings. This had been suggested to us by Laura because Tolkien refers to its influence on some elements of his own work. It is not the easiest of books to obtain, but we have all managed to access the first 5 chapters so far. It was sad that as we began the book Laura herself could not be with us, but she sent comments, some of which are included in this text. Please see the next post for her full comments. Some of us found the poetry inhibited our ability to get into the book, at least at first. Laura admitted that “on this reading I didn’t find the poetry quite so intrusive or artificial – particularly as a welcome to the person bringing the war arrow – although if he could barely catch his breath (gotten his breath again…! Is this an example of English crossing the pond and coming back as an Americanism??) would he be speaking in rhyming couplets? Angela thought the poetry Morris’s poetry was easier to read that Tolkien’s. Eileen found Morris’s prose quite poetic in its rhythms, more so that Tolkien’s at first reading. This makes Morris’s work easier to absorb in places than Tolkien’s, and Morris’s prose style is more performative. Laura also commented: At the beginning of the book, Morris starts with “The tale tells that in times long past …”, a phrase which crops up several times. This is a scene setting which Tolkien uses as well to give the sense of history becoming myth becoming legend etc… Is it true anyway? Also that this could be a story being told in a mead hall especially with the poetry. I thought Tolkien’s prose never gives the impression of being intended for oral performance. Ian and Eileen both noted that The House of the Wolfings is a 19th century reinterpretation of the Middle Ages, its history and culture, and Ian thought there was a propensity to believe stories rather than real events, but Tolkien creates a secondary reality. Eileen disagreed with Ian’s remarks on the glamourising of the Middle Ages, arguing that Tolkien’s world comes across as sounding ‘real’, but, she noted, that’s the skill in the writing. Chris remarked that Tolkien’s writings contain elements that are relevant today. I drew attention to what I thought was a significant difference between Tolkien and Morris, a consideration prompted by the image on the cover of the Cambridge Library reprint edition I am using. This shows the famous Edward Burne-Jones wardrobe created as a wedding present for Morris and his wife, and apparently treasured by them. It is undoubtedly a beautiful piece of pre-Raphaelite art. It shows scenes from Chaucer’s Prioress’s Tale, so it fits perfectly with the high moral seriousness of Morris’s politics and aesthetics, but runs counter to Tolkien’s declared stand against German anti-semitism before WW2, as stated in his letter to a prospective German publisher. The Prioress’s Tale repeats the most famous medieval anti-semitic story of little Hugh of Lincoln. In the Middle Ages the views it puts forward were the standard views of Christian society, and these were hardly modified even in the late 19th century. There is no reason the conclude that Morris and his wife held anything other than mainstream opinions and indeed the image could be a joke turning on the use of the word “wardrobe” in the Prioress’s Tale, if so, it is a strange one. My (overlong) comment was that while Morris and his wife plainly felt no sensitivity towards the implicitly anti-semitic image, Tolkien, in the context of the rise of Nazism, was far more alert to it. The use of medieval sources by both authors should be considered in this light – they are always determined to some extent by the attitudes of the society and times in which they exist, to say nothing of the times in which they are interpreted! Ian observed that the wardrobe image may have other dimensions. In C.S. Lewis’s The Lion the Witch and the Wardrobe, it is the way into a world of Christian values, so there may be overt and covert senses in which such an image or artefact may be interpreted. Certainly the Prioress’s Tale is insistently Christian. Eileen remarked that ‘wardrobe’ is used by Shakespeare to indicate a gateway to hell. The Online Shakespeare Concordance gives 6 instances. None seems quite hellish, but there might be others unlisted. Chris noted the descriptions of rowdy children as like ‘throstles’ in Morris’s story and compared this to the Victorian ideal that children should be seen and not heard. He also noted the ‘archaising’ of language by Morris. I thought this was much more heavy-handedly done, and done for effect as distinguished from the subtlety and meaningfulness with which archaic language is used by Tolkien. Angela remarked that some people have criticised Tolkien the inclusion of archaic ‘registers’ in his work, as for example in the characterisation of Aragorn, whose vocabulary changes depending on whether he is talking to hobbits, Gandalf, or Elves, when it becomes more obviously and legitimately ‘archaic’ to reflect his lineage and their historical difference. Laura also commented on the use of archaic language: Like Tolkien, Morris uses older forms of words or possibly dialect words eg “drave” in the first chapter presumably to give a sense of a mediaeval romance – thinking Gawain here. Neb – I thought this was a Liverpool word. Also stithies – not a misprint for smithies but a Norse word for anvil and where an anvil if housed! Angela added that Tolkien defended his use of ‘hard words’ – archaic and difficult vocabulary in a work for children. Of course he pointed out that The Lord of the Rings was not intended for children, but that many read it and coped, and that it was good for them to have their linguistic horizons broadened. Eileen and Angela both commented on the different approaches taken by Morris and Tolkien towards woods and trees. I noted the many references to hazel trees in Morris. Angela remarked that the Wood-Sun spirit doesn’t seem to fit with a story about the historical tribe of the Goths. She also questioned the use of spells on garments and wondered if there were any in Tolkien’s work. I could only think of the spell Lúthien weaves into her cloak so that it causes anyone it sweeps over to fall asleep. Both Eileen and Laura noted the prominence apparently given in the Wolfings to dark hair and grey eyes. We thought these characteristics were less signs of distinctive ethnicity in Morris’s work than in Tolkien’s. Eileen noted that the Goth tribes are mostly named after animals. Angela noted the ‘Beamings’ named for trees, and Eileen thought that altogether these were very ‘green’. Angela remarked that the naming and heraldic signs are much easier and less complicated than Tolkien’s ‘houses’ in Gondolin! Eileen remarked on the sense of wide open spaces around the Roof of the Wolfings and elsewhere. Ian observed that there were fewer human in the past represented in the story. Everyone had something to add to the topic of space but Eileen remarked that there was more space in ‘those days’. Ian rejected this notion, commenting that there was the same space but the numbers of people changed. We recognised as the afternoon drew to a close that we were making assumptions and commenting based on our reading of just 5 chapters of The House of the Wolfings, and I wondered how we would have reacted if we had come to The Lord of the Rings in the same way! Chris reminded us that Eileen and done just that, and she reminded us of our collective astonishment when she expressed serious suspicions about Gandalf when she first encountered him! She revised that opinion later, but her experience was instructive. We agreed to read the next 5 chapters for our first meeting in March. The fellowship gathered in the Seminar Room on a blustery but occasionally sunny Saturday afternoon. We missed Lynn and Julie, who were unable to join us for this session. Following some preambulatory conversation amongst the group, Ian opened the Tolkien-related discussion with a report on a crowdfunding that has been started up for Sarehole Mill, in order to return it to full working order (Ted Sandyman’s been letting it slide, so me ol’ Gaffer says). The original target was £6,500, which was quickly reached and exceeded, and was then extended to £8,000 – which has, in turn, been exceeded! Laura introduced a suggestion for the next text for the group to study – not one of Tolkien’s own creations, but works that inspired him. Laura thought we might consider The House of the Wolfings by William Morris (he of the Arts and Crafts Movement, poet, novelist, translator, proto-socialist) which is one of the myriad inspirations for Tolkien’s own journeys into lore and mythology. It is a tale of the struggle of the Teutons against the invading Roman legions. The general consensus of the group was in favour of studying the book, subject to further discussion with Lynn. Chris noted how many Balrogs were killed during the battle of Gondolin, as well as Dragons. Ian referred to what Gandalf had said with regard to destroying the One Ring: “not even Ancalagon the Black could destroy the Ring”. At time of speaking he couldn’t, Ian noted, since he was dead. On the subject of the Ring, Eileen observed that Frodo destroyed the Ring as his finger was still in it when Gollum fell into the Crack of Doom. This provoked some discussion about who did destroy the Ring: Frodo, Gollum or the Valar? Chris returned to the Fall of Gondolin, noting that Ulmo came out on top regarding Gondolin. Eärendel escaped, representing hope for the future. Ulmo’s “Plan B”. Laura commented that the earlier version of the battle shows Tolkien’s obsession with heraldic symbols and imagery, like a “heraldic spreadsheet” – colours, symbols for each military unit. Tim likened it to regimental colours. Laura felt it seemed overdone. Ian considered it to be a reaction to a utilitarian approach to large groups. People can relate to common links of attributes, for example, in medieval imagery. There might be a variety of world views present without the need to go how any group might view the world – different aspects and values. Visual imagery. Laura thought the description was all gorgeous – rich colours – which contrasted with descriptions of Tuor, or Aragorn, when they were in the wild, in “mufti”. Ian said there is complacency in wearing dress gear – ceremonial. Different kindreds were identifiable through their liveries or uniforms. Laura said there was a contrast with Maeglin, who was all in black. The session was drawing to an early close, since Angela and Chris had to leave earlier than usual due to transportation issues. With that, Angela and Chris made their apologies and left to catch their bus, and Eileen left soon after to get her bus home. Laura, Ian and Tim wound up the proceedings at about 3.20pm. The next meeting will be at 1.30pm on Saturday 23rd February 2019. Back to our usual format today, but with pleasant memories of our ’moot. After the stimulating presentations of that meeting, and with news of subsequent developments in the work of some of our writers, we turned again to The Fall of Gondolin. Carol had sent comments on some matters and those topics she covered and we addressed are included here. We were sorry not to see Julie and Tim, but hope to see them in February. Eileen began the afternoon by questioning why Tuor’s father, and thus Tuor, does not lie under the same curse as their kinsmen, Hurin and Túrin. I suggested it was Morgoth’s particular attempt to punish Hurin, and Angela added that Hurin had defied and mocked Melkor, so his family torment is his punishment. Huor does not irritate Melkor in the same way. Ian observed that the tormenting of Hurin resembles the coercive colonial technique where a family member was separated from the group or tribe by the colonial power and treated differently so that when they are returned they are the subject of suspicion. Chris noted that although Gollum doesn’t exactly mock Sauron he does lie to him. Laura remarked that in the new Gondolin book lots of animals are described as Morgoth’s spies, including great weasels, owls, falcons, and the sons of orcs. Laura commented that this is the only time we hear about ‘sons of orcs’, and she noted that there are great weasels on Madagascar that hunt lemurs, and we discussed the characteristics of the animals named, and pondered the possibility that the concept of great weasels had its source in The Wind in the Willows. Carol had commented that “we can’t understand what it must have been like for Tuor seeing the sea for the first time. I would think that most of us were brought up with seeing the sea, if only on holiday, from before we can remember. I know when I became conscious of the sea on holiday, it came as no surprise: water ebbing and flowing, unlike streams and rivers running forward all the time. Eileen agreed that Tuor’s experiences were impossible to imagine, and Ian remarked on the effect of air pollution in towns. [This surely must have added point to Tolkien’s descriptions, because he had experienced the dirt of early twentieth-century Birmingham, and even pollution from the mill at Sarehole. Angela noted that Aragorn often travels alone and this must entail practical difficulties such as coping with illness and finding food. Laura remarked, however, that North American fur trappers also travelled alone in hazardous circumstances. Ian commented that they focussed on making a living by trading. Angela wondered whether we are to accept that Tuor was indeed the first Man to see the Sea, as the narration says. I wondered if this statement was part of the sense of a foundational or taxonomic myth, like his naming of butterflies and plants. Carol commented that in the new book, “this is a different tale of the coming of Voronwe from that in TS. So far, I think I prefer TS version but then that’s the one I’m most familiar with. Eileen also remarked on the difference between the versions of Tuor’s journey and the in which Voronwe finds it hard to cope in the snow and Tuor has to encourage him. Angela noted that in one version it is Gwindor who needs encouraging. Laura observed that in one version of the story, Voronwe is an escaped thrall, and so is ready to flee, but it was noted that the status of thrall is given to Gwindor in another version. Laura also noted that Voronwe is named Bronweg in the Cottage of Lost Play. Eileen noted that in yet another version, Voronwe is the last surviving mariner of those sent out by Turgon. Chris remarked that it is Ulmo who saves him from shipwreck, and this fits better with the theme of helping Tuor. Laura suggested that there is a Great Plan, but it goes wrong. Chris proposed that Ulmo didn’t know Turgon would refuse his command, but Laura wondered if Ulmo was really aware? Carol commented that ‘Turgon is still too proud to hearken to Tuor’s words but reasons are given: the sending out of elves to find aid from the Valar, never returning, and the Valar seemingly ignoring the pleas from Middle-earth. Chris pondered whether Ulmo would, in this context, be considered a “troublemaker”? Eileen noted the significance of the number 7 in the story, and changing tack, went on to consider the relevance of characters being given the chance to change through the option of pity. Although this is most obvious with Gollum, Eileen mentioned Turin ignoring the chance. Ian continued: Fire is one of the elements that goes into the making of the major artefacts – both the Ring and the Silmarils and into the self, both Sauron and Feanor, but all Sauron represents is the artefact. Angela noted that during Sauron’s time of influence on Numenor the Temple of Fire was a place of burnt sacrifice. Laura then questioned when Sauron went to Dol Guldur. Angela replied that it was after the Ring was cut from his hand. Ian suggested that Sauron must have left the Ring in Middle-earth when he went as hostage to Numenor. Laura asked if he wouldn’t always have it with him? Ian went on to consider the original burning associated with the silmarils and therefore all they represent. They could have rekindled the light of the 2 Trees but Feanor refused. When the silmarils were stolen they burn even Morgoth, However, Beren was not burned, although Carcharoth was destroyed. When Sauron created the One Rone he puts some of himself into it, but he is part of the Flame Imperishable being a Maia. Therefore the heat of Sauron is still in the Ring as heat is still in Sauron, but this connection to the Flame Imperishable diminishes – as Chris and Angela observed of the Ring’s time in the Anduin – until Gollum can handle it.